A few years ago, an elderly couple living in an independent living apartment at a Bethesda retirement community went to the hospital. The wife, who was in an advanced stage of dementia, had become ill. Given her age and health complications, coupled with her dementia, doctors at the hospital presented the husband with two choices – putting in a feeding tube or allowing her to pass away with comfort measures. Her distraught and frantic husband quickly phoned the Bethesda Care Management department. He had no other relatives, and though he had taken care of his wife for years—bathing her, dressing her, feeding her – he could not make the decision about the feeding tube alone. After hours of talking with the Care Management team, the husband finally decided to bring his wife back to their apartment, and the team arranged for hospice care and additional private duty services. Today, this couple is still living in that independent living apartment at their Bethesda retirement community. A fair way to think of the Care Management team is to compare it to the of a guide. Care managers often enter the picture when senior residents begin to struggle in independent living. Many times, their involvement begins after the staff report some behavioral or physical concerns. 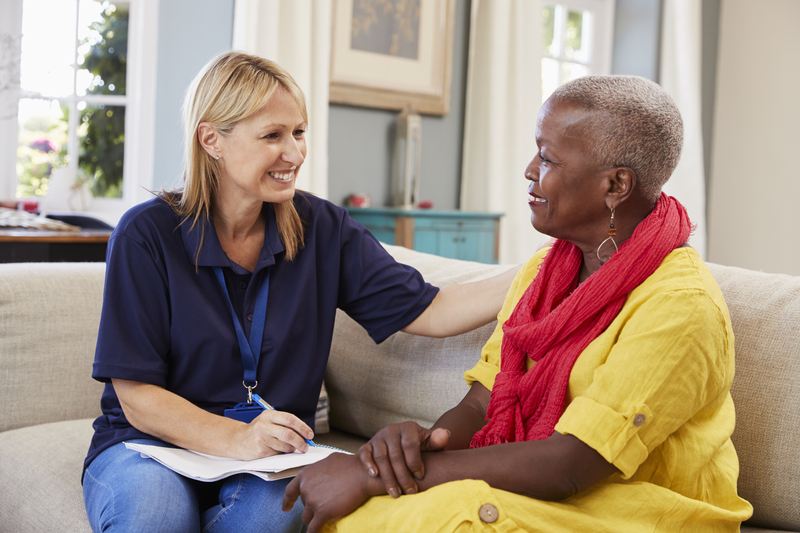 Once a person’s health, abilities or behaviors begin to decline, an assessment is arranged that involves checking with a resident’s physician, examining nutritional needs, and determining what personal care and medical services should be added. Residents may need to be escorted to doctor appointments, need errands run, or need help sorting their mail or with bill-paying tasks. The care management team know how to navigate the healthcare system, help arrange for veterans benefits, and can counsel family members and residents who have difficult healthcare decisions to make. They answer questions about healthcare options and long-term care insurance. They review advanced directives that spell out the wishes of the senior when it comes to the type of medical care desired at the end of life and designates who will see that those wishes are honored. They also may guide residents to other professionals, like attorneys or estate planners, to address their needs. Care managers also often help resolve conflicts. Family members may have differing opinions on the best course of care or treatment for their loved one, and the disagreements can become highly charged. The care management team also looks for signs of depression in residents, which may become debilitating and dangerous if not addressed. As a result of their efforts, the independent living residents at Bethesda stay in their apartments an average of three additional years after Bethesda’s care management team begins to provide service. Not too many long-term care organizations have care management programs that can provides additional independent living time of this length. For more information about the Bethesda Care Management program, or to arrange for an appointment, please call (314) 963-2200 or send us an email at caremanagement@bethesdahealth.org.